The results for the International Artistic Contest Two Calls for Vajont, hereby presented, are the outcome of a crossing of the short lists supplied by the jury members, subsequently examined by the Dolomiti Contemporanee’s Inner Committee. Several jurors proposed some ideas on the ery structure and objectives of the Contest itself, and on its next phases (Jaar, Vettese, Basso Fossali). 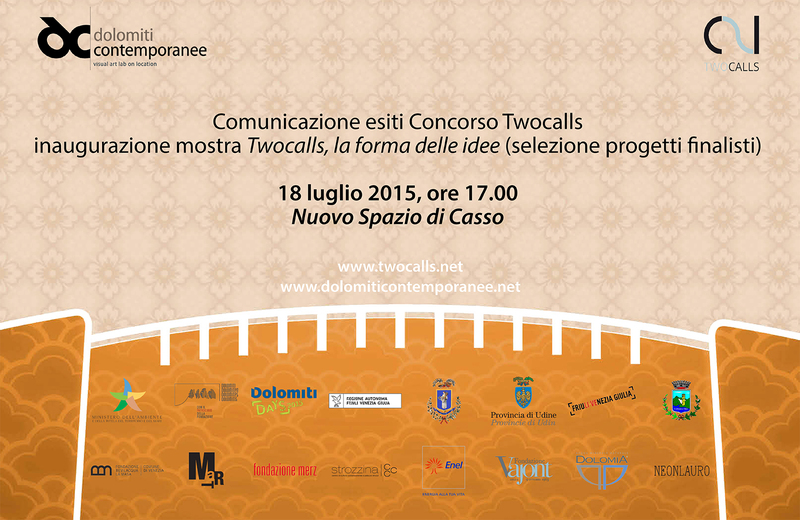 During the event there will also be the opening of twocalls, la forma delle idee (twocalls, the shape of ideas, in English), where a selection of the finalist projects will be exhibited.